Do you want to adopt someone into your life or thinking about immigrating to the US? It is a wonderful idea, but all your personal documents required for the process must be translated to the official language of the country from where you want to get the adoption or you’ll need USCIS certified translation services. The host country will need documents about your nationality and identity. This enables them to carry out background checks about you. USCIS is the acronym for the United States Citizenship and Immigration Services. They are the first among other government bodies in the United States that request for certified translated documents. You need to provide them the certified translated copies of all the documents required for the adoption for them to help you with the process. The documents will prove that you are an American citizen and that you have the authority and identification to go ahead with the adoption process. Our USCIS Certified Translation Services provide you a quick and affordable way to have those documents translated whenever you need. Also, the USCIS will request for the documents of the person to be adopted, as this will show if the individual is qualified to be adopted into the United States. This move protects you from possible fraud if the child is not made available after payment of prescribed adoption fee. It is important to show that the child is free to be adopted into the United States by providing a certified copy of his or her original birth certificate. Start by looking for a translation and certification service provider. The USCIS will only recognize a translation service provider, who provides professional translation services. They will not accept documents translated by just anybody from you. The certification shows that the translated document is a direct copy of the original one. It also means that the translator is ready to bear the outcome of any poor translation leading to miscommunication. Poor translation will put their reputations on the line. You will get such a certification if you use our USCIS Certified Translation Services. All the paperwork required for the immigration process must be in order before you start with the process. This will prevent avoidable headaches when the process begins. To make sure your translations are fine, always get them from someone who guarantees acceptance at the immigration office. How much does USCIS certified translation cost? When you are translating your documents for USCIS submission, you have a right to be worried about expenses. You are going to translate about ten to twenty personal documents, and they all need to be translated according to USCIS requirements. The problem is that the best may not be light on your pocket, depending on the agency you choose to work with. 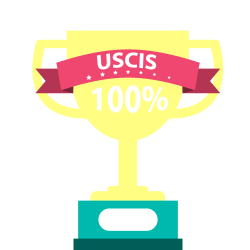 The good news is that getting USCIS certified translation could be more economical than you may think. The certification and notarization could cost more and the total bill for so many documents is going to be high, to begin with. That is a valid concern but we feel like the usual break down for numbers should be explained more so that you will understand why we do not think you have to worry about it. 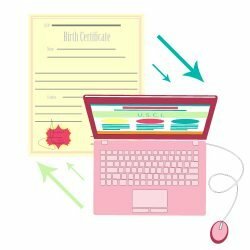 If you have a birth certificate that contains just a few words, it could cost you anywhere from $20 to $80 per page, depending on which translation provider you choose. With us, it is going to cost you $20 if there are less than 200 words on the page. 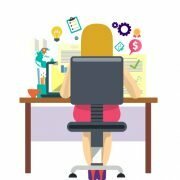 If there are more than 200 words on the page, rates per word are applied. With us, you will pay $0.12 per word. Count the words on your document and multiply it with our rate per word and you get your total price. The easier way is to get in touch with us and send us your document: we will count the words for you and give you a quote. If you need your translation to be notarized, since notarized translation is a certified one which is then notarized, it will cost you $20 per document on top of the certified translation cost. See, it’s not free of cost, but it is not going to cost you unreasonably either. Call us now for cheap yet guaranteed USCIS certified translation! Not having a valid certified translation when you are assembling documents for your USCIS application can have a disastrous effect on the result of your submission. 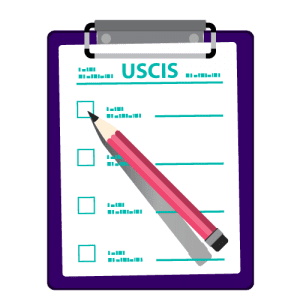 USCIS analysts will look to verify the authenticity of the document in question by inspecting it; however, they also require a translated copy to ensure that the document contains the correct identifying information. A full English translation must accompany any foreign language document that the translator has certified as complete and correct, and by the translator’s certification that he or she is competent to translate the foreign language into English. Here, the translator means a professional translator who can provide you with certified translation for USCIS. At Certified Translation our expert team of translators will provide you with certification proving that work was full and accurate. The certification must include the name and signature of the translator, his or her address and the date the certification was made.